Join Sir Cumference and the gang for more wordplay, puns, and problem solving in the clever math adventure about place-value and counting by tens. Sir Cumference and Lady Di planned a surprise birthday party for King Arthur, but they didn't expect so many guests to show up. How many lunches will they need? And with more guests arriving by the minute, what about dinner? 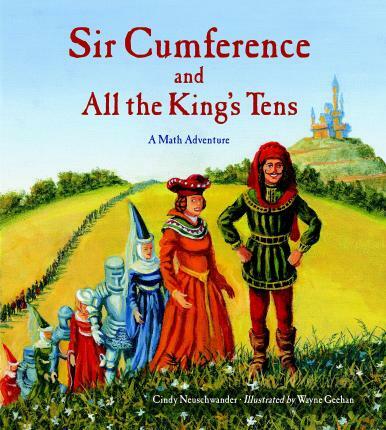 Sir Cumference and Lady Di count guests by tens, hundreds, and even thousands to help young readers learn place-value. Fans will love this new installment of the Sir Cumference series that makes math fun and accessible for all. Cindy Neuschwander is an elementary school teacher who loves teaching math. She also enjoys traveling, reading, and writing stories. She thought up Sir Cumference while visiting medieval castles in England. Cindy lives in Pleasanton, California.